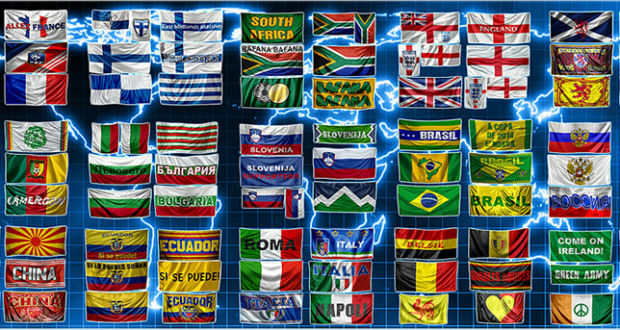 The flagpatch contains 41 flag packs for all national teams that are present in FIFA10! You can check the quality of the flags in the previews above! Co-Founder of FIFA-Infinity.com, Juventus supporter, Graphic Designer, FIFA Modder in spare time and lately an Ultimate Team fanatic! You must go and check them manually in CM10!Just click on the upper box above the flags and they will appear!Russia and Bulgaria have this bugs! About the WC teams i can’t do them since the teams aren’t in the database of Fifa 10! yes, i saw that with bulgaria and get solved, but russia don’t.